Manufacturer of a wide range of products which include kaala chakra dasha system, arudha system of prediction, jaimini sutramritam, a manual of jaimini, jaimini maharishis upadesa sutras and jaiminisutras. Kaala Chakra Dasha is unanimously proclaimed as the most efficacious directional system, yet even the top ranking astrologers are not using the system consistently because the percentage of correct predictions based exclusively on Kaala Chakra Dasha System has been very low so far. The only plausible explanation that can be offered is that the methodology used was incorrect. 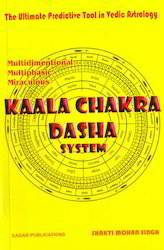 Now this book places before you for the first time a conceptual model of the Kaala Chakra to help you understand the constitution, dynamics and methodology of the Kaala Chakra Dasha System. Correct method as propounded in the classical texts, enabling you to make 100% correct predictions. The amazing law of excitation for timing of events with a high level of precision and hitherto unrevealed. Secrets of analyzing the divisional charts and giving you unprecedented insight into natal astrology plus correct and exhaustive dasha / bhukti tables. Giving you freedom from lengthy and confounding calculations. The Arudha pada system is a peculiar one in which degrees of planets, Vargas of Signs, mathematical calculations etc.are not considered. Only the natal chart is enough. The predictions promised by lagna Arudha, Bhava Arudha and Graha Arudha take place during the currency of periods of those planets in their dasas. 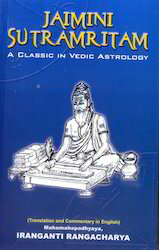 This book is such that the astrologer could grasp easily and correctly the aspects, argalas, arudhas, raja yogas, ayur dasas, phalitha dasas etc also because of charts illustrated where ever necessary. 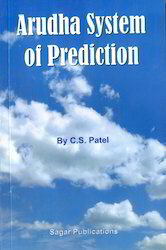 Forsure this could be a guide to every aspirant to Jaimini predictivity. 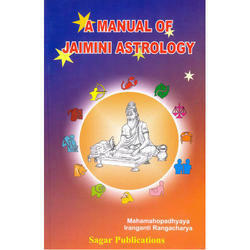 This book contains Basics of Jaimini Astrology, Argalas & Raja Yogas, Karakamsa, Arudha, Upapada, Female Horoscopy, Longevity, Ayur Dasas, and Phalitha Dasas. 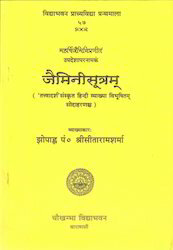 This book offers a lucid transliteration of the upadesa sutras of Maharishi Jaimini. Wherever necessary this has been substantiated by references from standard texts. A number of riddles hitherto confronting vedic astrology have been resolved with fine illustrations. These include (a) the difference between chara, sthiraand naisargika karakas (b) the distinction between “karakamsa” and “swamsa” and it’s impact in the charts of twins born just 2 minutes apart (c) the calculation and use of the narayana, sthira, shoola, navamsa, brahma, varnada, manduka, paryaya, kendradi and sudasas (d) the use of special ascendants in deciphering and timing rajyoga/dhanyogas (e) predicting co-borns for self and spouse children from saptamsa, bad thing from kauluka disease from trimsamsa and death from rudramsa (f) longevity estimation and nature of death. 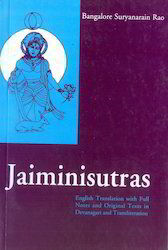 We offer Jaiminisutras to our clients. We offer Jaiminisutram to our clients.